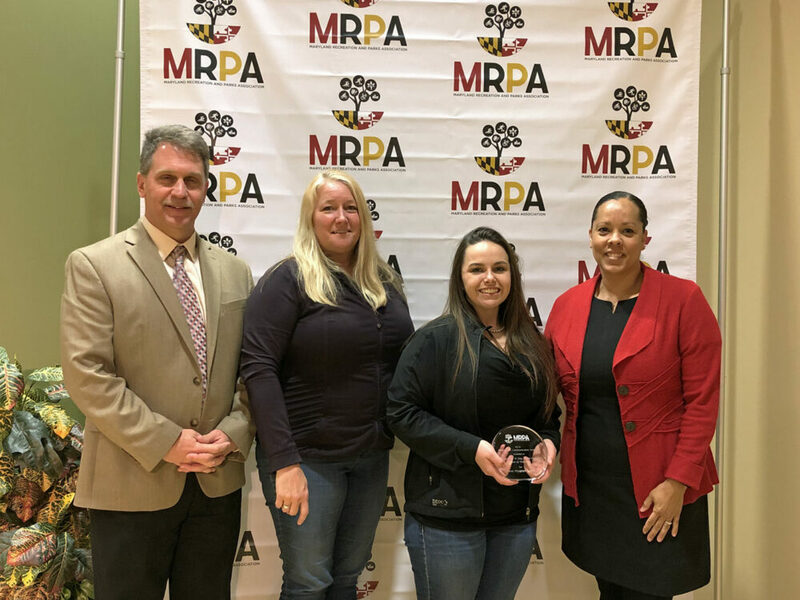 The Town of Thurmont was recently recognized by the Maryland Recreation and Park Association (MRPA) and was presented the Best Program Logo award for populations serving under 50,000 people. In the summer of 2018, the Town of Thurmont offered its inaugural summer parks and recreation program, based out of the Thurmont Community Park. The two-week program was entitled “A Day in the Park” and was a huge success. At the request of Park Program Coordinator Deb Abraham Spalding, Gracie Eyler from E Plus Graphics, Printing & Promotions, came up with an original logo that was used to brand the park program. The logo was an immediate identifier for the program and was easily recognizable. It captures some of the activities provided during the two-week program, and also displays a large deciduous tree as the central focal point, reminding us that natural resources are vital to park programming. “This logo is a great resource used in branding our successful summer park program,” stated Mayor John Kinnaird. The award was presented to Gracie Eyler, Deb Abraham Spalding, and Thurmont Chief Administrative Officer Jim Humerick at the Celebrating Excellence Marketing and Communications Awards Luncheon on February 28, 2019, in Laurel, Maryland. This is the second consecutive year that Thurmont has received a Marketing and Communications Award from MRPA. Jim Humerick, Town of Thurmont’s CAO; Deb Abraham Spalding, Day In The Park program coordinator; Gracie Eyler, E Plus Graphics graphic designer; and Carolyn Ryan, MRPA president.